So another year of fantasy football ended last Sunday without too much drama. A solid final week meant I held on to my league lead and won it for the first time in the four seasons we’ve played. It was an entertaining season and at one stage looked to be a four-way title race. That said I don’t think I let go of the lead since about week 19 so without gloating too much victory is deserved. I was kind of limping to the finish line for the last few weeks and dropped from a position of 7,264 as late as gameweek 31 down to a final ranking of 24,501 out of 2.3m+. Not my highest ever position but still very good and just outside the top 1%. Sportboy P came a worthy second while longtime leader Amer came third. Too many transfers and dodgy captain choices cost him and he couldn’t pick it back up. Three time winner the Football Guy had his worst ever season in fifth. I expect him to bounce back next year. Frank Lampard wins this for the second straight season. I learnt from my lesson last year and made sure he was in my team when in mattered, not least for the run in. Top scoring player by 42 points and his total of 284 is quite incredible. I only realised while writing this that it’s the highest ever score in a fantasy season, edging out Ronaldo’s 283 points in 2007/08. I think it was Chelsea’s sheer volume of goals that did it, as although he ‘only’ scored 22 (compared to C-Ron’s 31) he weighed in with a season high 17 assists (only 8 for CR). If you factor in that he wasn’t even the highest recipient of bonus points, or that he played neither game vs Wolves, you start to wonder whether a 300 point season is possible. An honourable mention too for Cesc Fabregas who matched Lampard for points per game and got the second most bonus points this season but due to his various injuries missed eleven games thus ended up with 214. Thomas Sorensen is the clear winner here, gaining 164 points for his measly £4m initial price tag. He even saved three penalties this season. Joe Hart was also a big plus here, with a lower score but higher price rise over the course of the season. 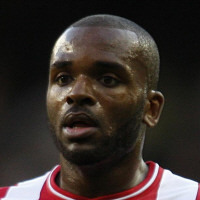 However I think the best bargain to be had this season was Darren Bent. Costing just £7m to start with, he banged in 24 goals for a frankly average Sunderland side. He was quieter in the second half of the season when Sunderland went on a long winless run and Drogba/Rooney/Tevez was the way to go but picked it up again in the final few games. Birmingham defenders were this year’s Fulham, providing regular clean sheets at a bargain basement price. Though they faded somewhat once they hit 40 points, they were a great option. There wasn’t one single player I kept bringing in this season, but looking back it seems Drogba, Lampard and Tevez were all transferred in on three occasions. With expensive players all generally performing this season, you could usually mix and match as fitness and suspension dictated and not have to worry about losing money. Many of last season’s flops bounced back, not least Fabregas, Tevez and Drogba. For his price tag Steven Gerrard has to be up there. A victim of Liverpool’s poor season; he was generally pretty useless until about gameweek 32, before an end of season points binge. Elsewhere big things were expected of Andrey Arshavin after last year’s four-month cameo but I thought 135 points was poor while Dirk Kuyt has gone back to being a plodder. You could argue Van Persie and Torres were disappointing but everyone knows they’re injury prone. When they played they both had a high points per game average – 5th and 6th overall. Could have done so much more. The way of looking at this is rise in value over the season. Here Richard Dunne and Didier Drogba are the winners, just edging out James Milner. 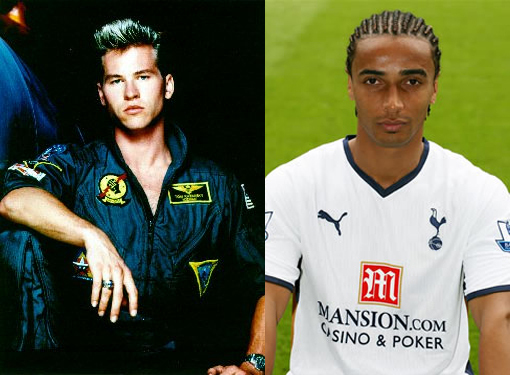 All three had terrific seasons and the former two rose by £1.8m in price. I would say Dunne was the most unexpected, and he picked up Martin Laursen’s tendency for being a bonus point machine while captaining Aston Villa at centre back. That said, clever old me came up with this gem of a prediction about Drogba in one of my previews. "I no longer think the Ivorian has the ability to get 20 goals a season." Good thing I realised the error of my ways! The under performance of Gerrard – previously a lock for 200 points. Gareth Bale post January (116 points) compared to pre January (2 points). 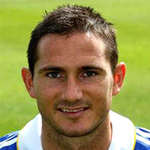 1st: Lampard – 28 points versus Aston Villa through four goals, an assist and three bonus. Needless to say that was one of the few weeks he wasn’t in my team, let alone in my team as captain. Credit to Fabregas for getting 22 twice and Rooney for getting 32 in a double gameweek. Wayne Rooney with 46 (matching Lampard last year). Cesc was second with 41. 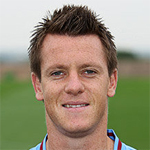 Biggest price drop was Diamanti of West Ham and surprisingly Nicolas Anelka. Both went down £1.2m. I assume the latter was a victim of people going with the three highest scoring strikers and just sticking with them. 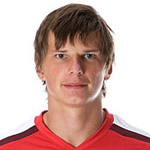 Of the other renowned players Carrick fell by £1m while Arshavin again plays a part here, falling £0.9m. 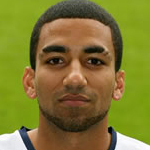 Aaron Lennon was fantastic until December, then got injured and only returned for the last few games. Perhaps it’s a little harsh to include him here. Jermain Defoe on the other hand had 14 goals before January and just four afterwards. Antonio Valencia was also pretty poor in 2010 with just four assists and no goals. Gareth Bale was immense after the turn of the year, scoring well over 100 points. I didn’t bring him in though due to his price. From a personal point of view I was pleased with the transfers of Martin Olsson and Adam Johnson. The former was listed as a £3.8m defender yet played in an advanced midfield role, while the latter made a big impact after joining Man City in the January transfer window. Both were nice differentials who scored steady points in the run in. I mentioned the Drogba one earlier and how I fancied Anelka over him this season. Other specials included tipping the likes of Ebanks-Blake, Zhirkov, Scotland and Robinho while being negative on players like Bellamy, Lennon and Valencia. In my defence, I had Milner, Bent plus more expensive guys like Fabregas and Rooney to have good seasons. Ebanks-Blake, what was I thinking?! Pretty different as you can see. I think Sorensen was the only player to make it through the season without being transferred out, surviving even the wildcard. I played a three-man defence for much of the season and given how well strikers did it was usually three up front. So another season reaches its conclusion and for most part the last weekend will be spent gambling on random captains, hoping for entertaining goalfests in meaningless games and hearing jokes about having hung parliaments. There are still a few things to decide, and the destination of the title itself. But given Chelsea are at home to Wigan, I don’t foresee too many surprises. In my private league, Clint Dempsey and Adam Johnson ensured a slight increase in lead over Sportboy P. It now stands at 27 which should be fine assuming the same captain is gone for this week. We only have six different players of the 16, and they’re mainly on the cheaper side of things so there’s not too much room for differing scores. Maverick approves of Gomes' recent displays. Goose approves of ape-man's score. Less so of his big ape-man face. Iceman is too cool for school to mess around with such things like a thumbs up. Why the hell am I here?! This is what happens when I do a silly gimmick to represent the highest weekly scorers and there’s a four way tie. All four of those players got 14 points as they all played twice. 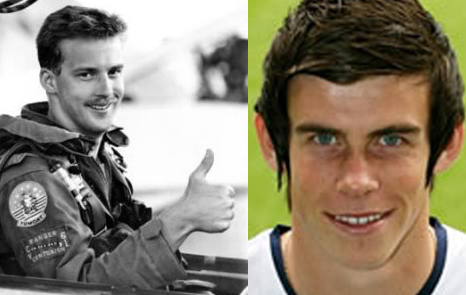 Any more and I’d be running out of Top Gun characters to use. I think Kelly McGillis would have been next. 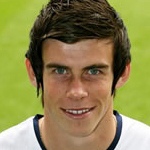 I’ll leave you to be frightened by Gareth Bale’s weird face. Not many games matter so it’s a bit pot luck this week but there are three options which are self explanatory. 1. Drogba/Chelsea – Need to beat Wigan at home to ensure the title. Somehow don’t see them slipping up. Drogba’s still chasing the golden boot and it’s rumoured he’ll be on penalty duty this weekend because of it. 2. 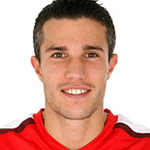 Van Persie/Arsenal – The Gunners have faded so badly that they still need a point to ensure Spurs don’t come third. Fulham have nothing to play for and will field a reserve team ahead of the Europa League final. Arsenal will want to finish with a win – Van Persie’s the man to get it. 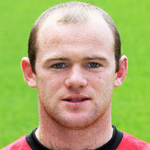 3 Rooney/Man Utd – Need to beat Stoke at home to have an outside chance of the title. Rooney fighting Drogba for the golden boot. Told you they were obvious. Wildcard choice – Arteta at home to Pompey or Darren Bent away at Wolves trying to overtake messrs Rooney and Drogba. It’s probably too little too late but for it’s worth you should be looking at the captain choices if you don’t have them as well as people like Nani, Nasri, Kalou, Malouda and Gerrard. People not likely to play this weekend. End of season review at some point next week. Friday I’d imagine. 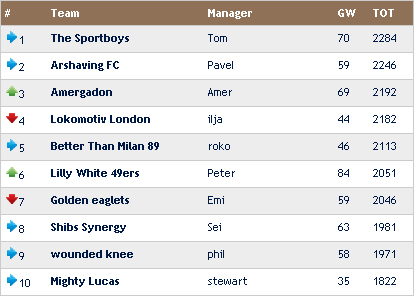 It all went a bit Pete Tong last week as I saw my league lead almost entirely wiped out based on one wrong transfer. 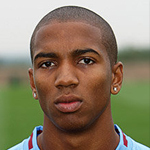 I was still debating who to bring in on Saturday morning and was thinking that someone like Gerrard for Ashley Young would be a good move given the formers home game against Burnley. However I started to second guess myself given that a) Liverpool are super inconsistent and b) they were coming off the back of a European tie. It says a lot that I wasn’t 100% confident of them thrashing Burnley! Anyway, that plan was put aside and I decided to get rid of Drogba as he was listed doubtful for the Stoke game. Rooney at home seemed like a good idea so in he came. Literally five minutes later the news broke that he was out injured. Transfer already made, one injured player in, one doubtful player out. As it turned out Drogba was fit and got nine points against Stoke while Gerrard got 15 against Burnley. 24 points missed out on and my lead is down to a measly 17. The title race between the two Sportboys is back on! Oh dear. Maverick's alwasy surprised when someone nearly equals their season score in one week. Chelsea went goal crazy against Stoke, eventually settling for a 7-0 victory. Chief beneficiary was squad player Kalou who notched a hat-trick of tap ins, as well as an assist and man of the match for a grand total of 24. He had only got 42 points all season prior to that and it’s certainly one of the highest scores this year. 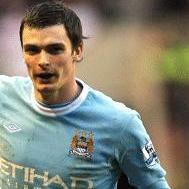 Following closely behind was Frank Lampard, who rewarded the many who chose him as captain with an 18 point performance. Lampard really has been racking up the points and has ten goals and ten bonus in his last nine matches. Barring some heroics from Drogba or Rooney, he ends the season as highest points scorer – not for the first time either. Elsewhere it was a case of the midfielders with Gerrard on 15 and Giggs and Aquilani both on 14. Four teams play twice – Man City, Spurs and Fulham are the three you want to load up on. 1. Tevez/Man City – Two home games and about the only Man City player you can trust. Always performs in big games and Aston Villa and Spurs are big games. 2. Bale/Spurs – With Defoe out of form and none of the midfielders doing particularly well either, the Spurs pick has to be Gareth Bale. After last week’s messy performance at Old Trafford, Redknapp should hopefully switch him back to left-wing. 3. Fulham defenders or Dempsey – Fulham are always solid at home and have conceded just 12 goals at Craven Cottage this season, better than anyone else. West Ham and Stoke should bring at least one clean sheet. Meanwhile with Zamora injured, look to Dempsey to play upfront and hopefully bag a goal or two. 1. Lennon/Spurs – Fit again though I doubt he will play the whole 180 minutes available to him this week. 3. Etherington/Stoke – If you must go for a Stoke player this week make it him. 1. 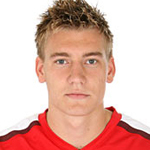 Bendtner/Arsenal – Suffering now that Van Persie is back. 2. Sorensen/Stoke – Out for the season. 3. Given/Man City – Ditto. An interesting week last week with Aston Villa and Hull providing opportunity for double gains. Unless you were the gambling type, I imagine most bets were hedged on the key Aston Villa players. While the returns weren’t huge, they weren’t bad either and will probably have justified any points spent in transfers. 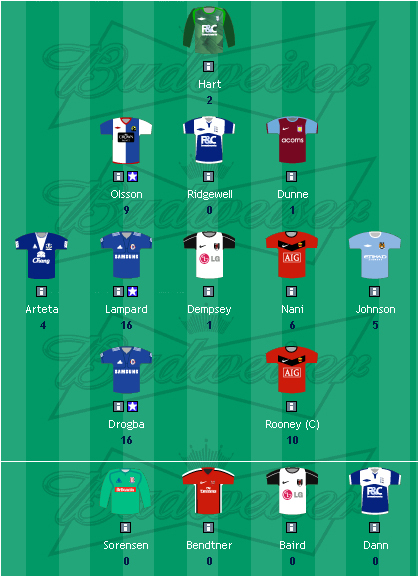 It was a slightly above average week for me, not helped by going for Ashley Young as captain. Just 12 points from him as he got just a solitary bonus point. The league lead is 39 with three weeks left, and Sportboy P (remember him?!) now takes up the chase. 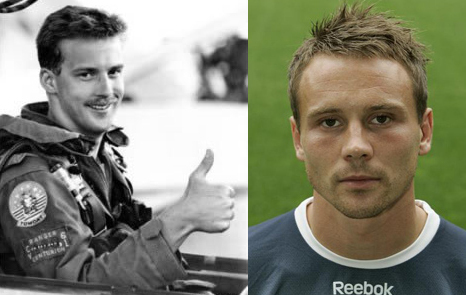 Maverick approves of Milner's second top gun. Goose approves of Taylor's best performance this season. Two midfielders got 15 points this week; James Milner and Matt Taylor. Milner scored once and got six bonus points last week while Taylor got into double figures for the first time this season through two goals and three bonus. He has been a little underwhelming in 2009/10 but still has eight goals and three assists. Elsewhere Charles N’Zogbia got himself 13 points against Arsenal while six players scored eleven. Of those the most interesting was Gareth Bale. After not scoring for over two years, he now has two goals in two weeks. 1. Lampard/Chelsea – A home game against Stoke should be easy pickings for Chelsea. Stoke are still rubbish away from the Britannia and I’m sure Ancelotti will be looking for a response from his team after last week’s debacle against Spurs. Drogba picked up an injury during the defeat and may not be fully fit, thus possibly creating an opportunity for Lampard to run the show. 2. Arteta/Everton – A home game against Fulham is no doubt tough but Roy Hodgson has gone on record as saying that the Europa League is now his priority. Everton are in good form and should probably win against a Fulham side in the middle of a European semi-final against Hamburg. Arteta is back from injury and scored last week. 3. Van Persie/Arsenal or Adebayor/Man City – Hate each other, face each other this weekend at the Emirates and will both be super motivated to be the match-winner. Van Persie has home advantage but may not start. Adebayor will get royally booed with every touch but is match fit and has the benefit of facing Silvestre and Campbell. It’s all about form players right now. 1. Bale/Spurs – Obviously he’s been excellent in the past two weeks with 20 points but looking further back he’s been consistently good since regaining his place in mid-January. 85 points since gameweek 22 plus two matches coming up next week. 2. Players with something to play for – Whether that’s from teams who are relegation threatened, fighting for titles or simply those after personal gain like World Cup selection – now is the time to go for motivated players ahead of those whose season has ended. 3. Craddock/Wolves – 25 points in his last four games. 1. Wigan players – Beat Arsenal last week so judging by how their season has gone will probably lose against West Ham this time round. 2. Terry/Chelsea – Out this week through suspension and generally not playing well. 3. Arsenal goalkeepers & defenders – Not that you’d have one! Just four weeks left and 44 points to play with. My lead has been shrinking slowly but hopefully the season can be seen out without too much fuss. It’s starting to get rather tricky given the numerous injuries to the so-called ‘big’ players. Indeed only Drogba and Lampard can say they’re fully fit right now with maybe Rooney to come back soon. The search is on for the less heralded players who can make a difference. In terms of overall performance, a second shocking week in three (by shocking I mean 1.3millionth for the week) means I’ve dropped out of the top 10,000. I’m still on track for my highest ever finish both points and position wise but it would be nice to end things on a high. Maverick approves of vendettas. Reminds him of the one he had with Iceman. Graham Alexander seems to have some kind of personal vendetta against Hull. After winning the gameweek 11 Top Gun for 21 points against Hull (two goals, clean sheet and 3BP) he decided to repeat the trick last week in the return match. Another two goals (both penalties) coupled with being man of the match saw 17 points coming his way. There was no clean sheet this time but once again it illustrated the value of having penalty takers in your fantasy squad, even if they do play for a rubbish team. Elsewhere, Adebayor and Tevez continued their newfound high-scoring partnership with 15 and 11 points respectively. Let’s see them do it against Man Utd this weekend though. 1. Young (or maybe Agbonlahor)/Aston Villa – Aston Villa play twice this gameweek; both away games against basement dwellers Portsmouth and Hull. If they have any lingering hopes of finishing fourth then six points is a must. The fact Villa are away in both matches should suit their counter-attacking style and I’m looking at their paciest players as captain options. While Milner is a fair shout, he’s burnt many a manager in not one but two previous double gameweeks and his recent form hasn’t been great anyway. Young (Ashley not Luke btw!) on the other hand has four assists, a goal and three bonus points in his last five. Meanwhile upfront Agbonlahor tends to score in bunches and he got his first goal in about six weeks on Wednesday. 2. 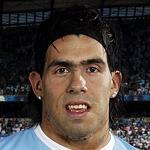 Tevez/Man Utd City – You just know he’s going to do something against his old team. 3. Bullard/Hull – Phil Brown’s Iain Dowie’s side are the other team playing twice and while the realist in me thinks they’ll lose both, on the the other hand they face a Birmingham side in poor form and with nothing to play for and an Aston Villa side fading when it matters. 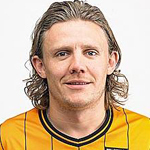 You might be looking at goal or two if nothing else and the likeliest man to score for Hull is Bullard. 1. Van Persie/Arsenal – I mentioned last week you should keep an eye on him and if Wednesday’s ultimately fruitless 25 minute cameo against Spurs is anything to go by then he’s not far from being back amongst the fantasy points. Arsenal face Wigan this weekend before Man City at home next week. While he may not start this time, I imagine he’ll be getting a minimum of 30 minutes before a super motivated start against his old friend Adebayor next weekend. As good a differential as you’re likely to find at this stage. 2. Johnson/Liverpool – Sneakily scoring quite good points over the last five weeks after returning to full fitness. Liverpool are pretty solid again right now and he’s popped up with a couple of assists too. Still well pricey at £7.6m but maybe get him in and cheap midfielder rather than hoping that the likes of Arteta etc will regain fitness. 3. Gomes/Spurs – 26 points in three games, still under £5m. 1. 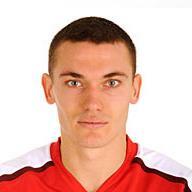 Vermaelen/Arsenal – Another key player at Arsenal bites the dust for the season. 2. 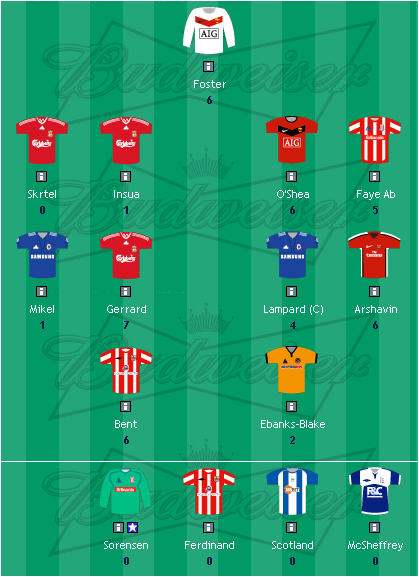 Torres/Liverpool – One of the most frustrating players I’ve encountered in fantasy football. So good yet injured so often. 3. Birmingham players – Bottom of the form league. I get rid of Lampard. Drogba and Rooney don’t play. My nearest rival suddenly has 56 cheap points though auto-sub captain. Not impressed. I should know by now that Fat Frank always comes back to bite me. I’m not letting another title slip away due to not having him. Back in he comes. As you can imagine last week was pretty horrific and basically Martin Olsson and Niko Kranjcar saved my lead being completely wiped out. It’s down to 47 points now and with a few big players getting injured it will be interesting who people choose to step up to the plate. Maverick won't leave Fat Frank out again. It was the Frank Lampard show last week as Aston Villa personally decided to gift him 28 points as he scored four goals, assisted another and thus got three bonus too. 28 points is ridiculous from one game and I think that may well be a new record. I don’t think Ronaldo ever got that high. Rooney of course got 32 in a gameweek earlier this season but that was of course over two games. Malouda helped himself to 17 in the same match while Tevez scored a 12 minute hat-trick for a cheeky 16. Lampard has now beaten his overall score from last season by reaching 228 and there are still six games left. Might he challenge Ronaldo’s record of 280-odd points from a couple of seasons ago? 1. Tevez/Man City – With the top two playing each other, Arsenal players being at the risk of rotation and Arteta being a doubt we have to look elsewhere for our captain choice. Tevez got three goals last week which was interesting as Adebayor played alongside him. Burnley away this week so more goals should be forthcoming. 2. Torres/Liverpool – Torres has six goals and nine bonus points in five games and while Birmingham away is a tough match, I feel if he plays he’s more than likely to score. 3. Arsenal players – A slight risk of the big guns being rested here given Arsenal play Barcelona on Tuesday. A big victory should be on the cards given it’s Wolves at home but it’s tricky deciding who will play. Bendtner could be rested so perhaps look at the remaining midfielders who are still fit. 1. 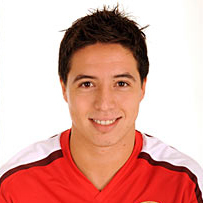 Nasri/Arsenal – With both Fabregas and Arshavin out for the season (though it could only be three weeks with the latter) someone has to step up in the Arsenal midfield. With Fabregas having dominated league proceedings up until now, it’s quite hard to judge alternatives. Diaby is the highest available scorer but has been quiet for a few weeks now. Denilson sits a bit too deep to regularly be on the assist sheet, leaving Samir Nasri as the most interesting alternative. He scored last week against Birmingham as well as having some fine performances when replacing Fabregas. He’s £7.9m and worth a speculative add. 2. 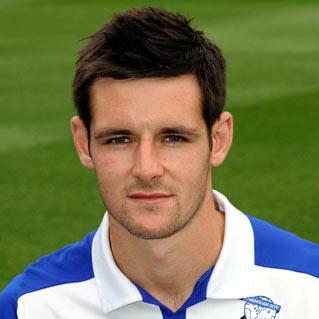 Dunn/Blackburn – After being a week away from fitness for about two months, Dunn finally made his return four games ago. He’s been particularly impressive in the last two matches with three goals and six bonus points. Blackburn are safe and he’s still pretty cheap so could be good as a fourth/fifth midfielder for the rest of the season. 3. 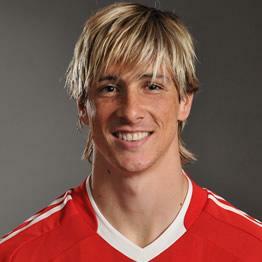 Torres/Liverpool – Your replacement for injured Rooney. 1. 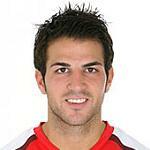 Fabregas/Arsenal – Done for the season. 2. Rooney/Man Utd – Out for three weeks or so. 3. Aston Villa players – They fell away this time last season too. Deja vu? At the risk of tempting fate, I think I may have wrapped up my private league last week. A massive 15 matches saw all sorts of opportunities for points and while the weekend fixtures weren’t too good, the midweek soon made up for it. 107 points in the end but more importantly another 18 points on my nearest rival. Maverick wonders how many points Arteta would have got were he fit in August. For the second time in three weeks the Spaniard (though he’s now technically eligible to play for England) does the job, scoring a total of 22 points over two games. In a nice mirror image, both games saw a 2-0 Everton win with Arteta scoring and being man of the match. 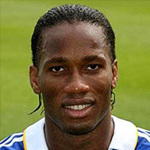 Didier Drogba was all over Portsmouth and in two games scored three goals and assisted for a total of 20. After him were Carew, Lampard and Malouda with 19, 18 & 17. Credit to Lampard for getting the highest one game score of 16. Loads of other players in double figures for the week including four from Wolves! A little tricky this week with away games for the top three . 1. Torres/Liverpool – Sunderland ended their winless streak and have picked up recently but I don’t see anything but a home win here. Torres has been back amongst the goals since returning from injury and I fancy him to get at least a couple against Sunderland’s shaky back line. 2. Kranjcar/Spurs – Portsmouth got tanked 5-0 by Chelsea in midweek and with Spurs looking to gain as many points as possible before facing the top 3 in April, I suspect another thrashing might be on here. I would say go for Pavlyuchenko but he’s doubtful apparently so it will rest with creative midfielders and maybe Bale too. Bentley is too risky, while Modric is usually the passer to the assister so that leaves the other Croat Kranjcar as the choice. 3. Rooney/Man Utd – The safest bet of the big three teams though Chelsea at home to Villa could have a few goals in it. Rooney has a decent record against Bolton and will look to score, get the job done early and come off, saving himself for Bayern midweek. Returning players are the theme this week. 1. 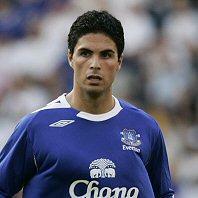 Arteta/Everton – In case you haven’t got him already, last week should be the trigger to transfer Arteta into your team. He’s been fit for a couple of months now but has only started to make an impact in the last few weeks, with 45 points since week 29. With other player at his price level beginning to fade (see Milner, James and Valencia, Antonio) he should be a high scoring option for the last seven games. Three of those will be against bottom six sides. 2. Dempsey/Fulham – When he first got injured in January there were fears over his World Cup place but he recently made his return and should slot back into being a key attacking player for Fulham. With the Cottagers beginning to feel the effects of doing well in three competitions, some caution is advised but they have enough easier games to make this worthwhile. Only £6.6m again after a high of £7.1m. 3. Bent/Sunderland – More someone returning to goalscoring form rather than from injury. I got rid of him in week 29 and since then he scored 5 goals and six bonus points. I’d probably wait until after the Liverpool game this week but that said, Bent has no issues scoring against top sides. After this week he has a particularly nice run however of TOT, WHM, BUR & HUL. 1. Birmingham defenders – However cheap they are, I don’t think it’s worth having three of them (inc. Hart) any more. Just one clean sheet in 11, you can get a similarly priced defender with more short-term upside from a different team. Keep Hart though, he’s solid. 2. Diaby/Arsenal – Cheap but can’t wait around for the three home games a season where he is a fantasy machine. Etherington is a better play right now at the same price. 3. Aston Villa players – Starting to tire due to Martin O’Neill’s preference for a small squad. They have a final double gameweek coming up in week 35 but are no longer a certainty fantasy wise. Week 31. 15 matches. Given it’s so late in the season this will be title deciding I would think. Ten teams play twice including four from the top half so you should really be looking at having a minimum of seven double players I’d say. Unless we get a bunch of 1-1 draws, 100 points should be the minimum target. Last week was pretty good – 85 points and a slight increase of my league lead. This despite having five players who would have been better captain choices than Fat Frank. He’ll be leaving my team for Fabregas again shortly after this double gameweek ends. I was particularly pleased with Bendtner getting another 11 points while spending eight points on transfers just about paid off too. After an injury truncated season, Fernando Torres reminded us of what he can do with 19 points against Portsmouth. Two goals, two assists and three bonus gave him his highest score of the season, moving him into the top seven strikers despite having played just 1471 minutes. Funnily enough his price has actually gone down this week as people were still reacting to one point against Wigan plus the fact he faces Man Utd this week. Judging by past form against Vidic that no bad thing. Elsewhere Malouda got 16, Milner and Aquilani 12 while it was a striker’s week with Rooney, Drogba, Bendtner, Berbatov and Pavlyuchenko all in double figures. 1. Chelsea attackers – First choice for a captain this week should be Chelsea attacking players. While they have two away game which are trickier than they look, I’d still be surprised if they didn’t come away with six points from Blackburn and Portsmouth. Lampard is an option as always, while Malouda is possibly their best player right now. You can’t really look further than Drogba though, and he should feast on those two defences. I wouldn’t bother with Chelsea defenders this week, I think it’ll be one clean sheet at best. 2. Aston Villa players – Villa have two home games against Wolves and Sunderland. Again, I’d be surprised if they got less than six points and they perhaps offer more variety than Chelsea. I’d be quite comfortable with picking Dunne as captain while Agbonlahor is usually involved some way when they score. Really though Milner is the most realistic choice when choosing a Villa captain. You can talk about potential differentials like Young and Downing all you want but at the end of the day it will be Milner getting the points. 3. Everton midfielders – Choices from Everton are narrowed to their midfield for me as Saha is currently injured and I don’t trust the Yak. Pienaar has been consistent and Cahill is always good for a goal but now that Arteta is back he’s the man you want. 1. Johnson/Man City – How brave are you feeling? Johnson has shone for Man City since joining in January and last week got himself nine points coming of the bench to rescue a draw vs Sunderland. Difficult fixtures against Fulham A and Everton H but he is in form and making an impact. The key question is will he play both matches? I think yes, but you never know with Mancini. 2. Olsson/Blackburn – An interesting week for Blackburn as they have two home games but both of those matches are quite tough (Chelsea and Birmingham). Olsson is one of the cheapest players in the game at just £3.8m and is listed as a defender even though he normally plays left of midfield. I could certainly see him getting a clean sheet against Brum and perhaps a cheeky assist too. 3. O’Hara/Portsmouth – They’ve been docked points, are essentially relegated, and face Hull and Chelsea this week. That said they are ok at home and tend to score if nothing else. O’Hara should get something against Hull (unless new manager syndrome kicks in) and will get two points vs Chelsea too. He’s cheap and gets bonus, what more do you want? 1. Hull players – Not even Iain Dowie can save this lot. 2. 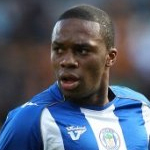 N’Zogbia/Wigan – His double gameweek produced just one assist and he’s been taken off before the hour twice in the last three weeks. 3. Anelka/Chelsea – No goals or bonus since the end of January. I kept putting it off because I knew it would happen. But last week I could wait no more and finally got rid of Darren Bent in exchange for Nicklas Bendtner. It’s not that I doubted Bent’s ability to score but there’s only so long you can wait for Sunderland to win a game. One hat-trick from Mr. Bent later and I wish I somewhat regretted the decision (despite NB’s five points against Burnley). Going into the rest of the season it was a move I wanted to make as Bendtner plays every week when fit and is so very cheap, thus allowing improvement elsewhere. Getting a combined total of 38 minutes out of Rooney (injured), Drogba (no game) and Fabregas (one assist before injury) meant the weekly score was low at 41 points. I lost 12 points with Pompey’s last-minute consolation vs Birmingham but overall it was a week to get through as best you could. It’s all in preparation for Wigan and Villa playing twice this week before the mighty gameweek 31 where TEN teams play twice. Leagues will be won or lost right there. Maverick thinks Arteta is almost as good-looking as he is. After being a bit of a fantasy god in the first season (06/07) I played (every week he’d assist a Joleon Lescott header) Arteta has had his fair share of injury problems in the three years since. Still a top player but often out for long periods. This season was no exception but he has recently returned to full fitness and reminded us all of just how good a player he is. 18 points against Hull through two goals, an assist and three bonus points. He does tend to be a bit of a bonus point magnet when he plays and should be a good points scorer for the rest of the season. Darren Bent pushed him hard this week with a 16 point hat-trick, while cheap strikers that you’re not likely to have followed with Nugent getting 14 and Jerome 13. 1. 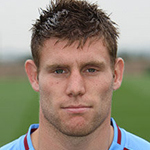 Milner/Aston Villa – Two games this week, against Stoke and Wigan away. While Villa have been better away than at home, I’m reluctant to suggest a defender for two away matches. Milner has cooled off recently but is now their top points scorer and most likely to produce this week. 2. Drogba or Lampard/Chelsea – A home game against West Ham is a near banker for Chelsea, despite the useless Ross Turnbull (even worse than Hilario) set to play in goal. Lampard scored twice in the defeat to Man City but I still am more inclined to captain Drogba given a choice between the two. 3. Rodallega/Wigan – Games against Bolton and Villa. As always, you never know which Wigan will turn up but the beauty of them having two matches is that they should perform in at least one. N’Zogbia has been a little quiet since his bonus point binge a month ago so I’ll suggest Rodallega who got nine points against Liverpool last week. 1. Aston Villa players – All about forward planning this week. Ten teams play twice next week so you’ll want to stock in order for a big week 31 score. Best option of all are Aston Villa players who have an unprecedented double double – four games in two gameweeks! I’d say go with attacking players like Milner/Young/Agbonlahor/Downing for this week’s away games and top up with defenders next week for the two home matches. 2. Everton players – A decent game against Birmingham this week followed by Bolton and Man City next week. I’d waver more towards the midfielders give the choice. Arteta will see a lot of pick up this week but justifiably so, while Pienaar offers cheaper but perhaps better value. Jack Rodwell is back in the picture too and before his injury was playing 90 minutes every week for only £4.3m. 3. O’Hara/Portsmouth – Ten bonus points and two assists in his last six games. Yes Portsmouth are rubbish and will be relegated soon but at home they still usually score. They have two home games next week (one against Hull) and O’Hara is only £4.5m leaving you to upgrade elsewhere. 1. Fulham defenders – They had a nice little run of games from which I picked up two sets of four clean sheets from five games but their Europa League exploits look to be catching up with them. Still worth a bench spot but there’s no need for me to have two players any more. Shorey might find he loses his place to a returning Konchesky. 2. Gerrard & Torres/Liverpool – Overpriced and underscoring. Pompey at home is a last chance saloon in terms of fantasy relevance this year. 3. Fabregas/Arsenal – Before you all get in a twist I’m just suggesting getting rid for this week and next before bringing him back in week 32. He definitely won’t face Hull and then has an admittedly good match against West Ham in week 31. In that time however Frank Lampard will play three times. Also, the last time Wenger said an Arsenal player had a small, small calf strain, Eduardo ended up being out for a month. Depends how much money you stand to lose on him I guess..